Well done! Our Gatling installation is ready! Congratulations your performance testing script is ready to be run! In order to benchmark the performances of the backoffice of your shop, you will use the Gatling testing tool. Note: Backoffice benchmark is only possible starting with prestashop 1.7.4.0! Gatling is a stress tool. Development is currently focusing on HTTP support. We won’t explain here the fundamentals of Gatling, but for more details I suggest you to have a look at the Gatling project. Download Gatling from here, and in the same way have a look at the Gatling quickstart page. After few minutes you can consult the detailed report generated automatically into “results” folder. 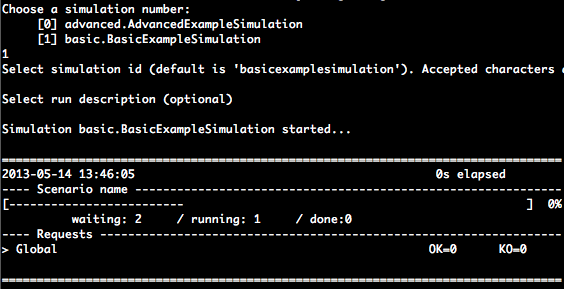 Download the script “parcoursbackoffice.scala” and put it under “/gatling/user-files/simulations”. Setup environnement TOKEN variable to “disabled” allows you to disable token in urls for Symfony pages and in legacy pages. If you want to test it you need to setup environment variable (SetEnv TOKEN disabled in apache vhost configuration file) and check that Symfony pages (Product, Module, …) urls doesn’t contains _token anymore and legacy pages shouldn’t contains token parameter. Note: don’t forget to restart your apache service! Now the token are disabled on your PrestaShop site Back-office, this mean that everyone who can log-in your Back-office could access to anypage from the url page. That why we recommend you to run the benchmark on a website only dedicated to test. If this is not the case, don’t forget to restore it when you finish your performance test.